With two cats and a 4-year-old in our family, our cream carpets take quite a beating! Supa got the carpet looking spotless for a great price. Plus he steam cleaned all of the juice stains out of the couch, too! Great work! Having moved yearly for the last decade I have used a lot of bond cleaners. Supa was the quickest, most professional, and most pleasant I’ve ever dealt with. Very reasonably priced for the quality of work, I wouldn’t use any other cleaner in the Melbourne area! Supa’s Commercial Cleaning has been unmatched in terms of quality and professionalism. 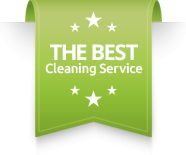 Do not think twice – definitely the best commercial cleaner in Melbourne! I have used Supa for several of my properties and can’t recommend him highly enough. He always manages to fit me in, does an exceptional job and is reasonably priced. After Supa has cleaned people often comment on what a great job he’s done. I wouldn’t use anybody else. The Property Management team at Ray White Chelsea have been using Supa for over a year now and are very happy with his services. Supa is prompt and his work is excellent. Highly recommend! Supa was polite and professional, and his service was excellent and well priced. If you want professional service and your property cleaned to a high standard then your first call needs to be Supa’s Cleaning Services. I wouldn’t recommend anyone else to clean my properties Supa is a Superstar!! !